With Linchpin Theme you can easily customize Confluence to fit your unique company design, no coding required. Not only can you customize your Confluence instance theme, but also your Confluence-based extranet systems or even give individual spaces in your instances their own design. Using Linchpin Theme in this way helps you to better visually integrate Confluence into your existing tool landscape. Our development team has just delivered Linchpin Theme Version 2.13. In this article we'll take a look at the new features this version has to offer. With Linchpin Theme you can customize your dashboard to meet your needs. When editing a page, until now, you've only been able to choose between different display options, put together a color scheme and change the background color. Now with the new version of Linchpin Theme, administrators can do more to customize their dashboard by showing and hiding the buttons "Create space" and "Invite users", as sometimes these user functions aren't required (e.g. in a Confluence extranet). You can see why it may be useful to remove them in order to make certain pages cleaner, simpler, and easier to use. The buttons "Invite users" and "Create space" can now be shown or hidden. In earlier versions of Linchpin Theme you could give Confluence a custom background color. With the release of version 2.13 now it's also possible to place an image in the background of the Confluence dashboard. This makes the global dashboard even more personal and offers even more flexible layout customization options. On a Confluence dashboard, you can integrate variety of functions by using macros. On an intranet home page, these often feature company news or an overview of upcoming events. To make these dashboard macros stand out from your new custom background, you can include a white frame around them in the configuration with just one click. As a result, this ends up giving the macros a clean tiled look with clear visual demarcations. In order to ensure all administrative changes in the system are transparent, traceable and auditable, Confluence provides a built-in audit log. Now you can find all changes to the Linchpin Theme configuration here, which will help make it clear what was changed, when it happened and who changed it. With this, Linchpin Theme meets an important compliance requirement at the enterprise level. All administrative changes in Confluence are recorded in the audit log. 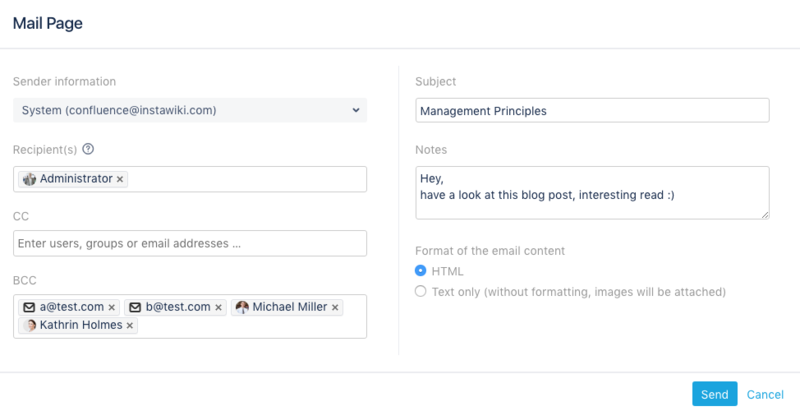 With a solution like the handy Mail Page app for Confluence, you can conveniently forward a page to a colleague or customer via email by simply clicking a button. You can select the email format, set a maximum size for included images and send the page to multiple recipients as copies or blind copies. What's new with Linchpin Theme is that emails sent via the Mail Page app now include the logo currently embedded in the theme. 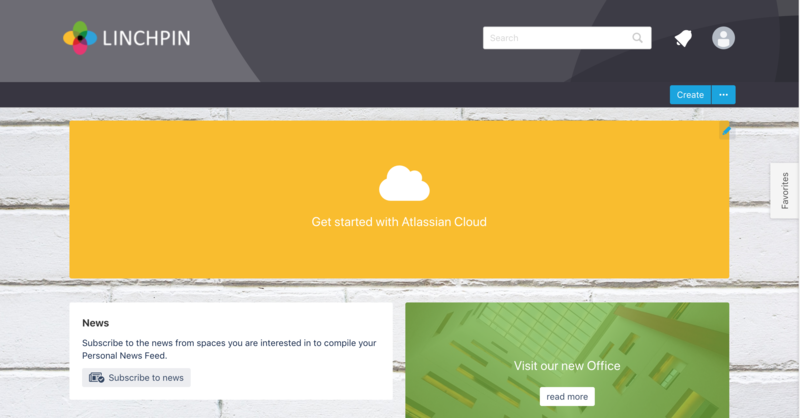 The latest version of the Linchpin Theme app is available on the Atlassian Marketplace. You can test the product with all of its features and with no strings attached! Do you have any questions, suggestions or feedback? Then feel free get in touch with us: Our development team would be delighted to help you!